Easy Optical are happy to add several models to our popular Anglo American Optical collection. Click here to view them on Easy Optical. Anglo American Optical offer a wide range of classic frames, in both acetate and metal, and are well-known for their unique styles. Easy Optical are proud to be an official stockist for Anglo American Optical. We are able to supply any Anglo American Optical frame in any of the available colours so if you want an Anglo American Optical frame you can’t see on our site just contact us. Easy Optical offers a wide range of quality frames, a reputable UK-based optical laboratory, free shipping and great customer service. Click here to see our entire Anglo American Optical frames collection on Pinterest or here to buy online from our Anglo American Optical collection at Easy Optical. Easy Optical are delighted to add the Airlite range from Anglo American Optical to our collection. Airlite frames are made from Ultra-Thin Acetate with authentic 1930’s metal-to-metal joints. Light, yet robust, they’re an instant classic. The Airlite models are available in a variety of colours. With frame dimensions of 47-19-145, the AIRLITE S2100 is available in six different colours (OP25, OP27, OP28, JH Matt 2 and TO). With frame dimensions of 51-18-145, the AIRLITE S2101 is available in five different colours (OP27, BBTT, OP28, DT Matt 2,BLK and TO). With frame dimensions of 51-18-145, the AIRLITE S2102 is available in five different colours (OP23, OP24, BUT2, DB2 and TO). With frame dimensions of 47-20-145, the AIRLITE S2103 is available in four different colours (OP23, BBTT, DB2 and TO). With frame dimensions of 44-21-145, the AIRLITE S2104 is available in five different colours (CC Matt2, GRBT, DB2, RYT Matt 2 and TO). Easy Optical are delighted to announce that we are stocking the new range of Anglo American Optical sunglasses. Easy Optical are an official stockist for Anglo American Optical and we offer a wide range of quality frames, a reputable UK-based optical laboratory, free shipping and great customer service. 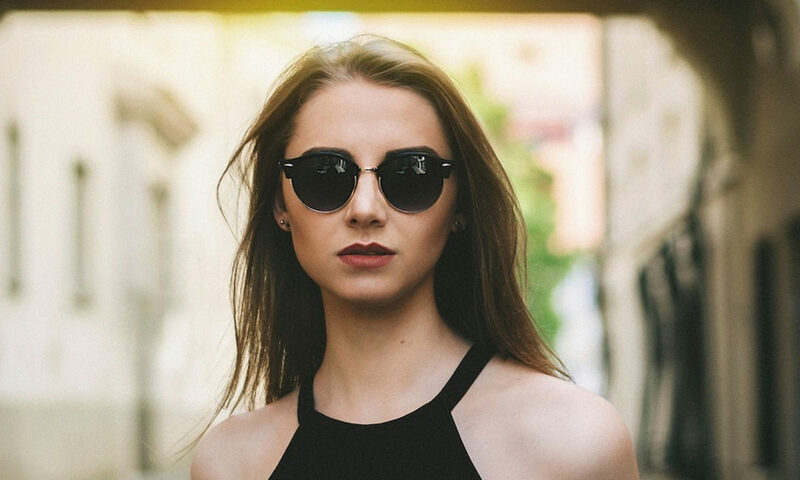 Click here to see our entire Anglo American Optical sunglasses collection on pinterest or here to buy online from our Anglo American Optical collection at Easy Optical. We’ll be adding more styles over the summer so keep checking back on our site. Easy Optical are delighted to announce that we are now an official stockist of Outspoken Eyewear, a great collection of colourful designer frames from Holland. Click here to see our entire Outspoken Eyewear collection on pinterest or here to buy online from our Outspoke Eyewear collection at Easy Optical. Easy Optical are delighted to add to our online range from Anglo American Optical with models that combine the traditional Anglo American Optical acetate with metal for a different look that retains the appeal of the classic Anglo American Optical designs. We are proud to be an official stockist for Anglo American Optical. Upon request, we are able to supply any Anglo American Optical frame in any of the currently available colours so if you want an Anglo American Optical frame you can’t see on our site just contact us. With frame dimensions of 46-21-145, the M43 is available in 7 colours (CHOC, GUN, MAGO, MANY, MAPU, MAPW and MRE). With frame dimensions of 49-20-145, the P Lux is available in 9 colours (BCKY Matt, CC Matt, DA, GRBO, GROO, GRPO, GRYO, RDSH Matt and TOSH). With frame dimensions of 48-21-145, The Agency is available in 5 colours (BLK, DA, RDSH, SBRO and SRED). With frame dimensions of 49-19-145, The X is available in 3 colours (AHSH, BLK and TOSH). With frame dimensions of 51-21-145, the Sentinel is available in 1 colour (DBYE Matt). Easy Optical are delighted to add to our online range from Anglo American Optical in May. The May models are available in a variety of colours. With frame dimensions of 50-21-145, the 116 is available in 8 colours. With frame dimensions of 46-26-145, the 180e is available in 8 colours. With frame dimensions of 49-19-145, the 259 is available in 11 colours. Easy Optical are delighted to expand our online range from Anglo American Optical, for whom we are proud to be an official stockist. The models are available in a variety of colours and frame sizes. The 406 is available in eye sizes of 45mm, 47mm, 50mm and 52mm. Easy Optical are delighted to announce that we are an official stockist for Anglo American Optical. Easy Optical are delighted to announce that we are an authorised reseller for the Walter & Herbert optical frames collection. Designed, manufactured and tested in England since 1946, Walter & Herbert bring their distinctive approach to their optical collection creating a very nice range of high quality, stylish frames with a classic style. Click here to see our entire Walter & Herbert optical frames collection on pinterest or here to buy online from our Walter & Herbert optical collection at Easy Optical. Easy Optical is excited to announce that the new Pull & Bear eyewear styles for 2018 are now available. Click here to see our 2018 Pull & Bear range on Pinterest or here to buy online from our Pull & Bear collection at Easy Optical. Pull & Bear was founded in 1991 with the intention of dressing young people who are engaged with their environment, who live in the community and who can relate to one another. This fast growing fun and influential global fashion brand takes its influences from customer feedback and social media comments, capturing the street style in and around the most fashionable places on the planet. Pull & Bear Eyewear brings the unique Pull & Bear style to the optical market and offers a great range of eyewear to young people who have a casual dress sense, who shun stereotypes and who want to feel good in whatever they are wearing. Reykjavik Eyes. Designed in Iceland. Made in Italy. Get free blog updates delivered directly to your mailbox. No Charge. Unsubscribe at any time.